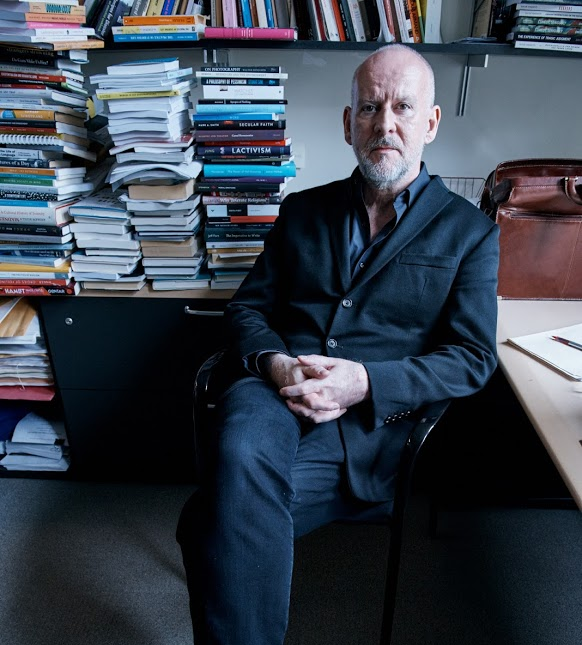 Simon Critchley is the Hans Jonas Professor of Philosophy at the New School for Social Research. His work engages in many areas: continental philosophy, philosophy and literature, psychoanalysis, ethics, and political theory, among others. His most recent books include The Problem with Levinas and ABC of Impossibility, though he has written on topics as diverse as David Bowie, religion, and suicide. As moderator of The Stone at The New York Times, Critchley asks philosophers to weigh in on contemporary issues in art, literature, politics, and popular culture. Additional information about Professor Critchley is available at his personal website.